Ruen Mallika is one of those restaurants that turns your mind towards history and Thai traditions as soon as you’re stepping over the doorstep to this almost 200 years old traditional Thai teak house, estimated to be built in King Rama II’s reign. Ruen Mallika is fine dining with an ambiance. The staff are dressed in Thai costumes with decorative sash tailored from local homespun fabric, similar to a style of traditional northern Thai clothing. The 824 sqm building is well decorated with a “woody” focus around a small garden. The dishes at Ruen Mallika are served on celadon, a special greenish ceramic table ware, and decorated with carved fruits and vegetables. By the way, don’t get fooled by the restaurant and guides using the term Royal Thai Culinary traditions. It is not correct. It doesn’t get Royal just because the food is served with carved fruits and vegetables. The restaurant states that the recipes used in the cooking have been passed on from one generation to another. 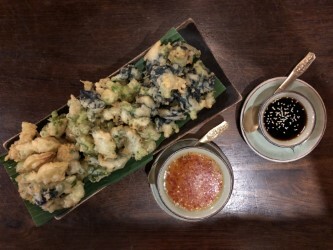 Some dishes are “true” to Thai culinary traditions and former lifestyles, but there is noting Royal or traditional in serving bottled sweet chili sauce or sweet soy sauce to the Chun Cheu Boossaba, an appetizer that consists of tempura flowers (fried butterfly peas, pagoda, cowslip creeper and/or sesbania flowers. The dish itself is tasty and fluffy. They use little flour in the batter and knows how to fry them to avoid an oily surface. The price is 200 bath and easily serves two to three persons as an appetizer. I decided to go for the Pla Goong from the extensive menu as a main course. A dish that can best be described as a spicy shrimp salad. Except for some very good shrimps the dish consists of chili, lemon grass, mint, Charlotte onions, garlic, sugar, fish sauce, lime juice. It is spicy and slightly sour when well done. The ingredients are of good quality with good sized and tasty shrimps. The dish was balances without skipping out to much on the chili. In other words, it is spicy as it is supposed to be. If you’re sensitive to spiciness choose something else. Ruen Mallika is definitively catering for foreigners and tourists, so I was a bit surprised by the genuine spiciness of the pla goong. If this is the standard for the more spicy dishes, also Thai’s will enjoy the food here, leaving the prices out. Ruen Mallika have both and outdoor and indoor seating, with big fans outside to harass the mosquitoes and to cool you down. The menu is huge, so plan for using a few minutes to go through it. All dishes are presented with good and descriptive photos, even if there might be some color differences from photos to your plate. I can’t say too much about consistency as the menu is just too big. That said, I would expect the dishes to vary a bit in quality as the menu isn’t not only covering food from all over Thailand, but has plenty of dishes with imported ingredients like salmon and king crab. The service was attentive when I was there, but I can easily foresee some variations to this subject. Would I go again? Yes, but not alone. The setting is praying for company and the portions are too generous, implying that two dishes is far too much for one person. The best options is to go three or more persons in order to be able to taste more of the food. 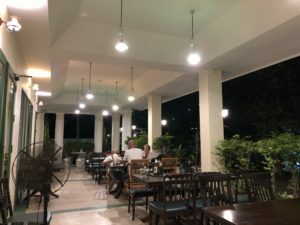 Ruen Mallika is not cheap, but it certainly is a fine Thai dining option, and a lot better than many of the so called fine dining options directed towards westerners and tourists. I paid 1375 bath for my two dishes and two Singha beers, in other words the same price as for the king crab with black pepper alone. Normally I don’t advise restaurants unless I’m asked too, but Ruen Mallika would certainly be a more attractive spot for a wider clientele with reduced portions and prices. https://mysonginthenight.com/songwriting/ Food: Thai food. Extensive menu. trusted tablets Price: Expect to pay around 1000 bath for two dishes and a Singha. Add another 500 bath for another person and another dish. The plates and bowls are quite generous, so estimate 3 plates or bowls for two. Add another dish per person up to five persons. 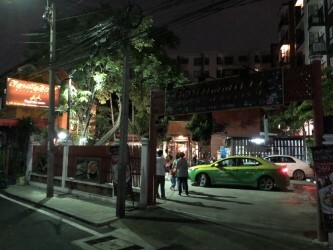 How to get there: It is Soi 22, but if you start walking down that soi from Sukhumvit Road you have a long walk in front of you. The best route is to walk/drive down Soi 16. If not in the area, jump off at BTS Asok station or MRT Sukhumvit station and take the skybridge from entrance level of the BTS to the other side of the heavy trafficked Ratchadaphisek road. The take to the right towards Exchange Tower and take the stairs down to the street level or walk inside Exchange Tower and take the escalator to the ground level to get some air-conditioned environment to cool you off. Walk down Ratchadaphisek road until you get to Soi 16, then walk down Soi 16 and keep to the left until you see Ruen Mallika to your left. 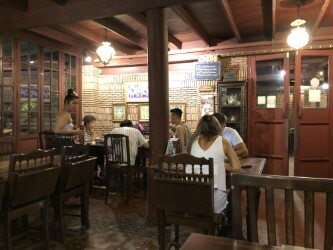 Ruen Mallika is fine Thai dining with an ambiance in an old wooden Thai building. The food tasted was good, but expect some variations as the menu is extensive and with some western influences when it comes to the protein. See full review at StreetsideBangkok.